The 2018 CCF Biennial Review took place on Friday 4th May and was conducted by Air Vice Marshal Jonny Stringer under a crystal clear sky, with Holme Park looking its finest in the early summer sunshine. The formal inspection was conducted to the wonderful music of the Concert Band under the baton of the Director of Music, Mr Bowler, and many of the guests commented on the positive difference that music makes to the occasion. 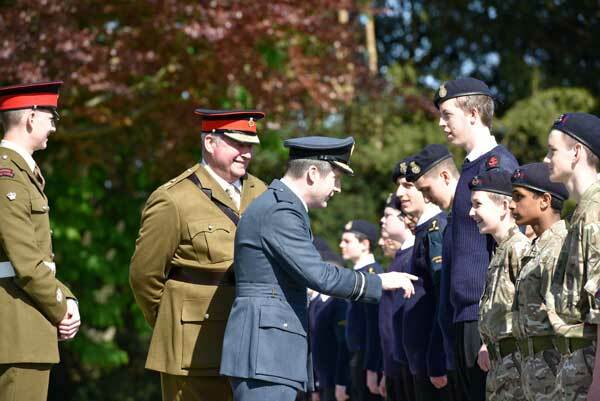 The Air Vice Marshal was escorted around the school by the Headmaster and Contingent Commander, whilst the Year 7 and 8 boys were shown around various ‘stands’ by Army section Year 9 cadets. 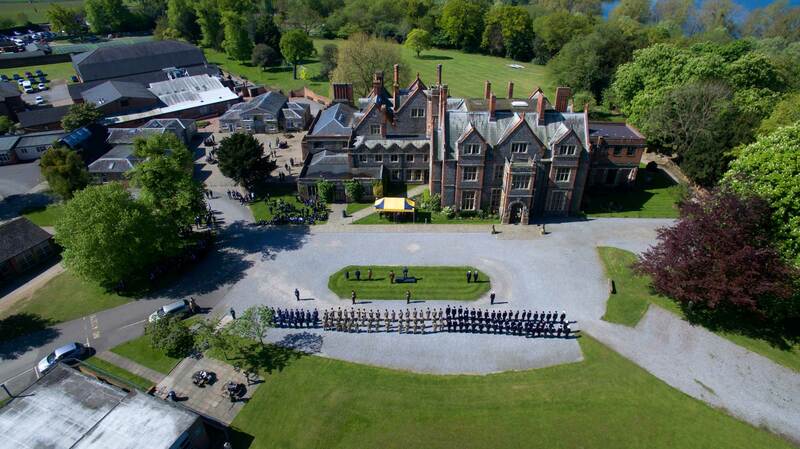 After a splendid lunch, held in the Buttery, our guests watched the Year 9 Tug of War contest, which was won by the Army.